A vital contributor and influential visionary in the world of art, Barbara Nessim (b.1939) has always been original in her thinking and unprecedented in her creativity. Inspired by her mother, a clothing designer, Barbara financed her studies at Pratt Institute by working as a freelance fashion illustrator, designing everything from shoes and apparel to textiles. Recognized for her fresh approach to image-making, Nessim was among the few female freelance illustrators of her time. 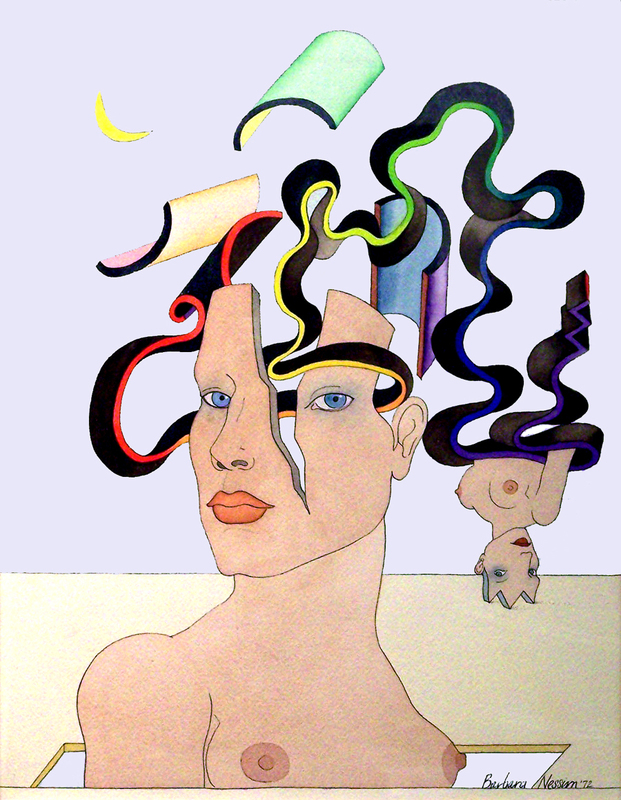 In 1980, she embraced innovation and began using the computer to create published and personal imagery. Never short of inspiration, she attributes the ongoing creativity in her work to her fine training as an artist, and relies almost solely upon her sketchbooks to generate new ideas. Nessim's passion for her work and desire to bring more to her art set the stage for what would become a long and illustrious career that has inspired many others along the way. Her illustrations have appeared in our nation's most prominent periodicals, from The New York Times to Rolling Stone, and her paintings and drawings have graced the walls of prominent museums and galleries around the globe including The Smithsonian Institution, The Victoria and Albert Museum, and The Louvre among others. She has also shared her gifts in the classroom as a mentor of aspiring artists at the School of Visual Arts and at Parsons/The New School for Design, where she served as Chair of the Illustration Department from 1992 to 2004. Today, the artist focuses on the creation of large-scale works for public buildings, and continues to create personal art for exhibition in New York City and beyond. Alda, Arlene. Just Kids from the Bronx: Telling it the Way it Was, An Oral History. New York: Henry Holt, 2015.
Cooper, Louise and Barbara Nessim. The Book of Paradox. New York: Delacorte Press, 1973. Galloway, David, Anna Demchick, and Roger Black. Barbara Nessim: An Artful Life. New York: Abrams, 2013. Nessim, Barbara. Barbara Nessim: Sketchbook Selections. New York: Blurb, 2007. Vasulka, Steina, Donna Cohen, and Darcy Gerbarg. Women's Studio Workshop Presents: Women and Technology. Rosendale, NY: Women's Studio Workshop, 1986.